Following are the details of the BA.LL.B -5 yrs Integrated Professional Law (Bachelor Course) in Subharti University. Registration Fees: Rs. 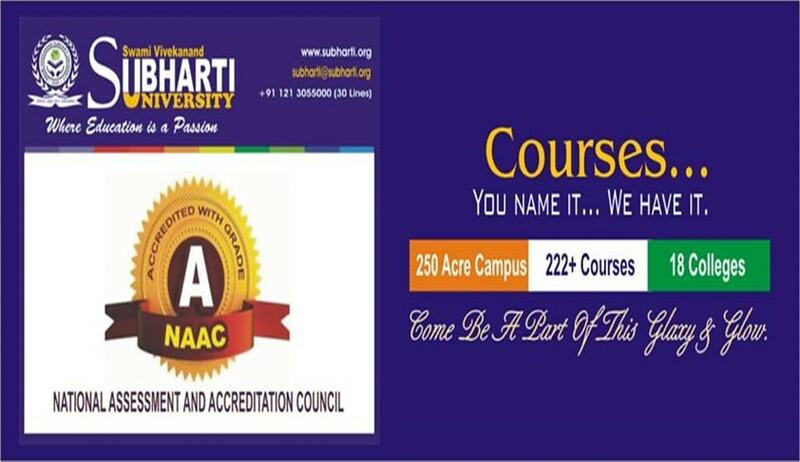 1500/- (Registration can be done directly in Central Admission Cell, SVSU, Meerut OR done online by visiting the Link. Certified Copy of 12th passed with minimum 45% marks or equivalent certificate. Transfer & Migration Certificate in Original. The details of fees to be deposited are as mentioned above. All payment should be in case or in case of D.D. then it should be in the name of “Swami Vivekanand Subharti University, Meerut” payable at Meerut (U.P.) India. For more details on Admission Procedure, click here.